The Big Businesses are Using Social Media: Why Aren’t You? | Molick Enterprises, Inc.
It’s said over and over again: the answer to “why not social media?” is always, “I don’t have the time or money to focus on it.” It makes sense that as an SMB owner, you’d want to focus your time and resources on what you found most important, which is often making sure customers are happy with what you do and how you do it. When a business owner finally does decide it may be time to take that leap, sometimes they don’t quite get what social media is, either. Is it Facebook and Twitter, or is it email marketing, post card blitzes, and networking too? Of course, this just furthers the issue of having time to do all of these things. While there isn’t a clear answer on which of these are social media and which are not (hint: they’re all important, though), there is a clear way to get started on social media without having to spend a thousand hours a week making it work for you. Do you have a G+ account, Facebook, Twitter? Good – does your business? Mixing your business and personal profiles can sometimes be a recipe for a disaster, as you don’t always want your customers seeing pictures of your grandson’s first birthday party. When you do, you can share them to your business pages. 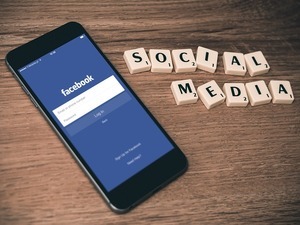 Plus, most social media channels now have special types of pages for businesses because businesses have more interest in analytics and sometimes want the ability to promote a post. There are so many lovely, easy stat programs you can get for free that there’s no reason not to measure your ROI on the time you’re investing in social media. Google Analytics is an excellent tool to start with, but after that there’s always things like TweetDeck, Tweetstats, and Facebook Analytics. They’re quick and easy tools to use and they take no time at all to run, but they’re essential to seeing what works and what doesn’t. There are so many social media plugins and apps that can help you manage your social media easily and with hardly any time invested. HootSuite, for example, can consolidate most of your social media outlets into one easy page where you can schedule, post, and answer social media engagements without ever going to the actual website. For the websites it doesn’t work with like Instagram, there are other services you can use to post and schedule ahead of time so you can ignore it unless someone comments or engages your company in some manner. Social media does take a little bit of time, but it’s worth every moment because it builds brand awareness and company rankings on search engines if nothing else. A little bit of time, a few good tools, and a few analytics will go a long way – so get on social media today. Has Flash Outlived Its Usefulness?